HOPE In The Hills is a West Virginia nonprofit organization, founded by community leaders and music organizers. Our mission is to produce events raise funds which benefit projects and programs that eradicate addiction in the greater Appalachian region. We need to raise $10,000 to make this event a success! Proceeds from the event will be granted to addiction recovery organizations and programs such as Recovery Point of West Virginia. HOPE In The Hills recently submitted its application for tax exempt status to the Internal Revenue Service. Once approved, our exempt status will be applied retroactively for any donations we receive, making your donations tax deductible. 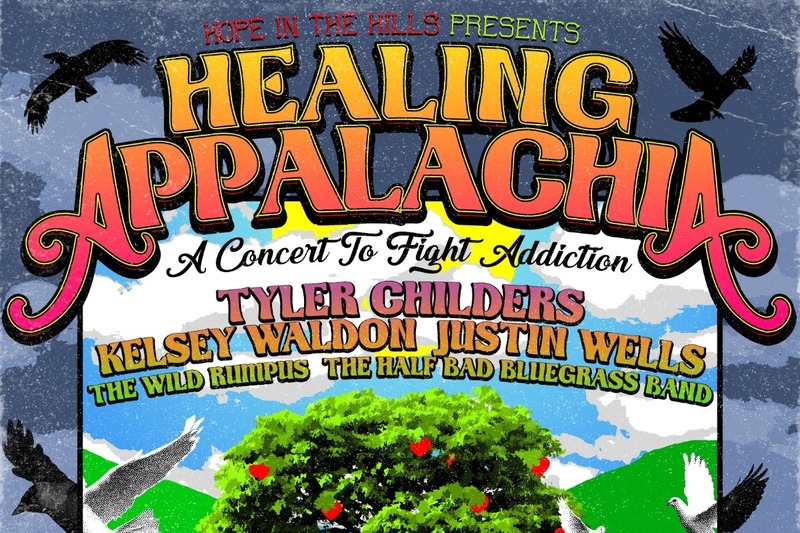 Come support Hope in the Hills at the West Virginia Fairgounds in Fairlea, WV as we work to end the opioid crisis while enjoying the music of Tyler Childers, Kelsey Waldon, Justin Wells, The Wild Rumpus, and Half Bad Bluegrass Band on 6 October 2018. Healing Appalachia is our inaugural annual concert. This event is about rallying the strength, heritage, and potential of our community, raise funds for the most essential needs of our time: hope and healing. Our region is often portrayed as a victim to the opioid epidemic and other discouraging statistics. Together, we are reshaping this dark narrative into a realization of our strengths.